The long-awaited revision of the fuel stations policy may not ban urban facilities from relocating to land outside development zones, one of the policy’s most controversial aspects, according to Planning Minister Ian Borg. A revision of the policy was announced back in January 2018. Introduced in 2015, it allows both new fuel stations and ones relocated from urban cores to be built on up to 3,000 square metres of ODZ land. Proposals for the revision put forward by the Environment and Resources Authority (ERA) last April called for ODZ development to be restricted to upgrading of existing stations, barring any new or relocated facilities in such areas. But in an interview with The Sunday Times of Malta, Dr Borg hinted at a more permissive approach, saying ODZ developments should be limited to relocations, ruling out only entirely new facilities. “If only relocations are allowed, we will know exactly how many more fuel stations we can have in ODZ,” the minister said. Dr Borg said the current 3,000 square metre size limit would be reduced – the ERA had proposed a 2,000 square metre limit – and that fuel stations should not be allowed to include unrelated facilities. He reiterated the original policy’s justification for ODZ development, arguing that people did not want to see fuel stations in village squares. Asked why the review was still ongoing more than a year after it was announced, and when it would be concluded, Dr Borg said only that discussions were at an “advanced stage” and that the policy was “close to adoption”. The delay has prompted concern as the PA has in the meantime continued to decide on applications, as well as to receive new ones, which will all be assessed under the existing policy. 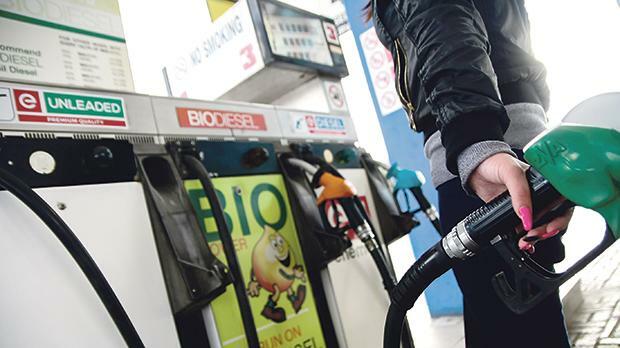 Activists twice – in April and September – halted PA board hearings on fuel station applications, and the Opposition has also called on the government to explain the delay. Meanwhile, asked about concerns that the ODZ fuel stations were a pretext for future commercial development, Dr Borg said it was up to the PA to impose conditions preventing such a change of use. “If the need for a fuel station no longer exists, the land should be restored to its natural state,” he said.